Use a Productivity Time Technique – Use something like the Pomodoro Technique , the 90 Minute Ultradian Rhythm (See P is for Pomodoro)or another regime such as David Allen’s Getting Things Done, or Tim Ferris’ The Four-Hour Work Week. Break up your writing session into chunks of work, and importantly, breaks. List and Prioritise – list out these chunks in a task list / to-do list or task inventory. Set deadlines on your own work. Go through the goals, milestones and targets process, and work out when you should be completing each task. Set up reminders (if using something like Google Calendar, or Outlook etc). Use a task manager app, if appropriate. Track your time. Use timers. Log your writing – both quotas met, and time used. Some writers swear by the traditional egg timer, others like web-based versions. Check out this list at Freelance Switch for some tech tools to track time and tasks. The P – Pmodoro post also lists some. Assert and Protect Your Working Time – Use the following two words on your writing behalf – “STOP” or “NO”. (If you’re being nice, say “thanks” after, too). Say “no” to the many requests for your time or more work outside of your writing project commitments such as more beta reading or critique partnerships. This also means saying “no” to yourself, your inner critic or muse, when you see another sparkly new thing, writing course, writing website, or “Squirrel!” drawing you away. delegate other jobs that must be done (the domestic chores) to other family members, or friends, and negotiate reciprocal agreements, or rewards for their support. The key to all this is to communicate assertively that your writing takes precedence for you. hire or find free help for activities that you don’t have the skills or time to learn – editing, proof-reading, book cover design, book design. communicate with family over your writing time – set up visual devices to tell them you are busy, and agree rules for what is allowable as an emergency interruption. Get and keep organised – space and time. As much as you might like having a pile of clutter, manuscripts, pens, or other “stuff” around, searching through it to find what you need is wasting your own writing time. Use spare pockets of time effectively. Write out a list of small tasks, to use when you do have the time. Choose some small tasks – like catching up with your feed RSS reader, or Twitter, and do these in the spare 5-10 minutes of time during the day. Use waiting time or queuing time to progress your writing – brainstorm, outline, structure, or research. Work Right. Make sure you are working on the right work. Remember Pareto’s Law – the 80/20 rule. 20% of our activity will produce 80% of our results. Assess and Adjust. If deadlines, quotas or productivity is not being met, assess your time and productivity management and adjust your goals and schedules. Use your writing logs to assess this regularly – end of week, monthly. Reward yourself. Select a few mini rewards and bigger ones for days writing completed or tasks completed for the later. Share your celebrations and rewards with those who have supported your work. James Scott Bell released a series of shorts through Kindle and How to Manage the Time of Your Life (Short Subjects With Big Impact. In this paper, he with pretty much all of the above, but has a much more structured task prioritisation regime than I currently have. At the end of the paper he doesn’t give other resources, saying that what he’s told us is pretty much everything we need to know about time management. I have the luxury of space on the blog post, so have included some resources (including the JSB one) for your perusal, should you wish. I always feel guilty a little when my daughter’s school asks for parent volunteers for something, and everyone knows I am at home, and supposedly available to help out. But then – working from home allows us the luxury of being able to manage our time to do these kinds of things. I’ve just had to stop attending a writing course/beta reading experience that I paid quite a bit of money for. The expectations of homework, and calls and more hours and hours of homework coming from the tutor started to impact my own writing life far too much. It started to get me down, and the expectations began to irk me. That kind of attitude from my side wouldn’t have been valuable for either of us, and I made the call that I needed to get back to writing. 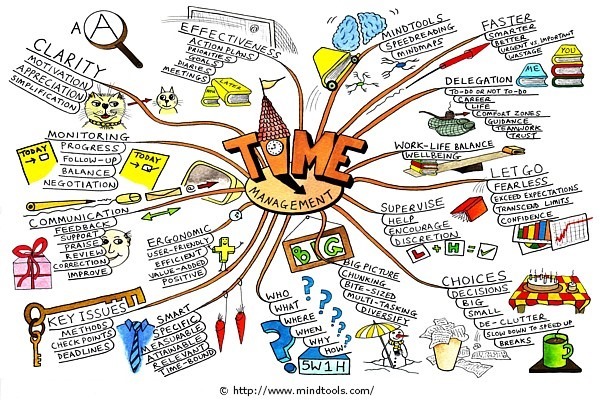 Take this online “Time Management Assessment” test. A free Time Management Log in PDF form. Thanks for including my ebook! I’d definitely say that using a timer has had the most beneficial improvements I’ve ever made to my workflow. Found this and thought – “Hey, this needs sharing. So here it is. If you didn’t catch this already on Hunter’s Writing. Thanks for reblogging this, Shah.